See the wild coral reefs of Key West and not get wet. See the only living coral reef in North America without leaving the boat or getting wet. See tropical fish, sting rays, sharks, sea turtles and much more marine life than you can imagine all from the comfort of our glass bottom viewing area. 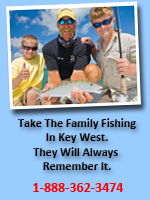 Fun for all ages and an affordable way to spend you time on the waters here in Key West. aboard the glass bottom boat Discovery. The upper deck provides seating in sun or shade. On the lower deck we offer seating outside or in the air-conditioned main salon. After a safety briefing, your narrator will conduct a waterside tour of the Historic Key West Seaport. This unique tour of the harbor presents numerous photo opportunities as we pass by places of interest. As Discovery arrives at the reef, the passengers are invited below to our unique viewing room. There are 20 large windows set in the sides of the hull of the Discovery at a 45 degree angle. Our guests enjoy a panoramic view out and over the reef as well as directly below. The tour is fully narrated by our knowledgeable crew. We have three trips departing daily to fit into anyone’s schedule.